Simple New Year's Detox: Start The Year Off With A Cleanse | PrimeYours! As you roll sluggishly off the post-holiday couch and back into your daily routine, you might notice that the holidays have done a real number on your body. Rich foods like turkey and gravy, sweets, booze, and non-stop socializing opportunities can leave you feeling bloated, chubby, and lethargic, and can leave you with a digestive system that is performing under par. When you pair the physical effects of the post-holiday period with the soul-sucking effects of winter and heading back to work without the prospect of even a long weekend until at least April, you will discover that what you need is a good pick-me-up in order to carry on. One great way to shed some of the weight (both physical and mental) from the holiday season is to embark on a cleanse. Not only will a cleanse leave you feeling more energized, it can also kick-start the loss of those pesky holiday pounds that are padding your belly. It can be said that we are living in an increasingly toxic world: environmental toxins are affecting allergy and asthma rate, our fruits and vegetables are laden with pesticides, our meat is treated with hormones and chemicals, and more of the food we consume is processed and preserved to the point of being virtually nutrient-free. This is not to say that the body has not adapted to the heightened presence of poisons. The human body has a truly phenomenal system for processing toxins and waste as it passes through the body. Everything that goes into our bodies, whether it be through ingestion, through our skin, or through inhalation, passes through our largest internal organ: the liver. It is the liver’s job to examine everything that passes through our system and decide what must be absorbed and what must be extracted and expelled as waste. Any toxins that pass through your system (from drugs and alcohol to pollutants) are extracted by the liver, and expelled through the intestines in bile. As you can imagine, this is a very important job, and the liver has likely been working extra hard to remove all of the crap you have been shovelling in over the last month or so. Similarly, your intestines work very hard, discerning between waste that your liver expels and the nutrients that must be re-absorbed for your body’s well-being. If you are going to concentrate on cleansing your system, the two most important aspects of this “system” are your liver and your colon. An overworked liver (for example in alcoholics) can cause excess fat to build up in the liver, which impairs its ability to filter toxins, and also its ability to metabolize fats, causing them to build up in your system. This can lead to high cholesterol and contribute to weight gain. Giving your liver a break from toxins for a couple of weeks can help eliminate the fat building up in your liver, allowing it time to rejuvenate and get your body running more smoothly. Colon cancer is quickly becoming on of the major health concerns in North America. The colon is the first part of your large intestine, where water and nutrients are re-absorbed into the system and waste is stored for elimination. Over time, the waste in your colon can build up, allowing the toxins to be reabsorbed back into the body. A colon cleanse not only helps to eliminate backed-up waste, it helps the entire digestive system work effectively. When you are planning a cleanse, you should consult a doctor, nutritionist, or naturopath to make sure that the method you use is effective and safe. When you start researching detoxifying and cleansing diets, you will likely be overwhelmed by the amount of quick detox diets and herbal supplements that people are pushing on you. You will run across herbal kits that require no dietary restrictions, and claim to detox the liver and intestines on their own, and you will encounter all sorts of odd diets, from the Miracle Cleanse (which involves a fast where you drink nothing but a concoction of water, maple syrup, lemon juice and cayenne pepper for 10 days), to the one that recommends that you only eat apples all day, and then eat whatever you want for dinner. It is difficult to sort through what is best when trying to come up with a suitable cleanse, but it doesn’t have to be that difficult. You can cleanse your liver and get your digestive system back on track simply with your diet. The beauty of the basic detox diet is that it is follows a balanced diet that will also help to kick-start your post-holiday weight loss. You will not be fasting, or even hungry. There are simply some foods you can eat and some you cannot. Since I started exploring cleanse diets, it has opened up my eyes to a bunch of new foods I had never experimented with before in my cooking. Get creative, and you’ll be able to add some healthy new favourite meals to your year-round diet. Whole grains that do not contain gluten: Quinoa, amaranth, millet, and buckwheat can be substituted for rice. Unsalted nuts and seeds: Flaxseed, pumpkin, sesame, sunflower, almond, cashew. Nut butter can also be substituted for dairy butter. Beverages: Water, lemon water, herbal tea (non-caffeinated), green tea, rice milk, 100% natural fruit juices, vegetable juices. Packaged foods: “Packaged” means processed with additives and preservatives. If you have to buy canned fruits or veggies, buy organic. Refined sugar and artificial sweeteners (other than Stevia): Refines sugar means any granular sugar, white or brown) and also anything that contains sucrose, dextrose, corn syrup. Yeast: This includes most bread. Also, check ingredients in canned food carefully. Fats: The only fat you should have in your diet is a couple of tablespoons of olive or flaxseed oil per day. Chocolate and sweets: Chocolate contains both sugar and caffeine. There is some debate about whether or not you should eat meat on a cleanse. One of the factors is the amount of hormones and chemicals found in meat. Another is that meat can be difficult to digest and get hung up in the digestive tact. If you can go without meat for at least a week, do. If you can substitute fish for the meat, that is good too. If you cannot live without your meat, stick to skinless chicken or lean cuts of beef or pork. A portion should be no bigger than the palm of your hand (about 4 oz). If you do forego the meat, make sure to replace your protein with beans or soy products, as protein is important for your immune system and also to prevent a loss of muscle mass. Aside from following the list of food you can and cannot eat, drink plenty of water. 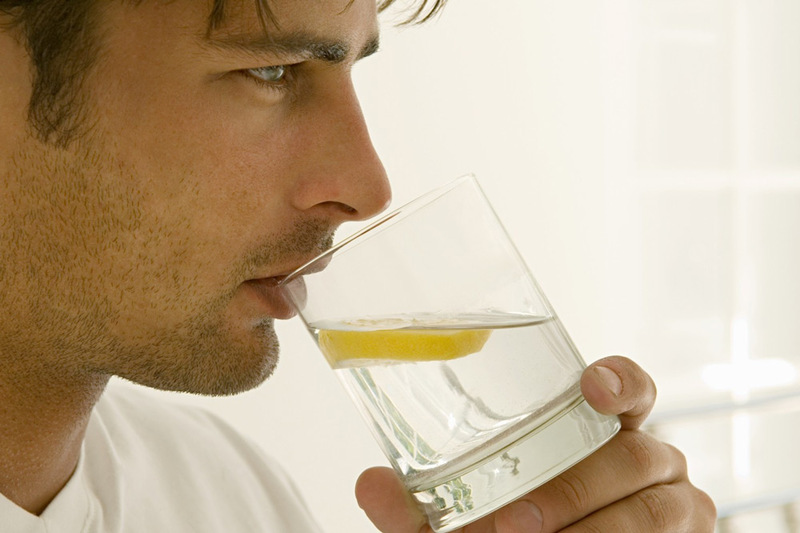 It is recommended that you drink the equivalent of half your weight in ounces of water per day. For example, if you weigh 180 lbs, drink 90 oz of water or equivalent liquid (tea, juice) per day. As much as possible, buy organic fruit, vegetables and meats during your cleanse. Although they are more expensive, it they will further eliminate toxins that you are putting into your body, if only for the duration of the cleanse. In the big picture, it is only 2 weeks out of 52, and it will leave you feeling so good, you might just let it spill over into your regular lifestyle. Nuts For Nutrition: Have Nuts And Seeds Gotten A Bad Rap?